Although they played an all attack game and deservedly scored five goals, the coach, who could easily blame his defence and to a large extent his goalkeeper for the goals conceded insisted the team didn’t defend as a unit. According to Garba, defending shouldn’t be left alone for the defenders in the team, especially when opponents commit men forward like Tanzania did in Monday’s game. “It would be unfair if we blame the defence line for the goals conceded. The goalkeeper too should not be blamed for the goals conceded. “As a team, we didn’t defend well. When you play against a team like Tanzania, who were committing players forward you need more players to defend. The up-field players didn’t do that. We’ve to get the balance right before our next game”, he told Owngoalnigeria.com. 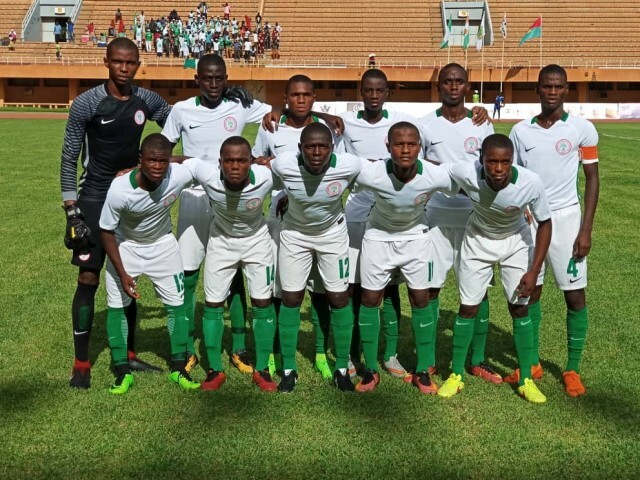 Meanwhile, Confederation of African Football (CAF) has congratulated Golden Eaglets forward, Akinwunmi Amoo on his Man of the Match award he won in the 2019 U17 AFCON opener. Amoo was the star player in Eaglets 5-4 triumph and even scored the 3rd goal in the encounter with a sublime finish. The African soccer governing body further congratulated the youngster yesterday. “Congratulations to Total Man of the Match, Akinkunmi Amoo #13 from Nigeria ” CAF stated on its Twitter handle. Amoo would be expected to continue, where he stopped, when Nigeria face Angola tomorrow.